The organization Peek Vision wants to provide high-quality eye care to people in some of the world's most underdeveloped regions. In order to reach this lofty goal, Peek employees have created revolutionary diagnostic apps and a business model that allows the company to earn a steady stream capital. The company's Peek Acuity vision testing app uses a smartphone camera adapter to test a person's vision. Doctors are able to determine a patient's overall visual acuity using this app's black on white test. Peek Vision has also developed various other apps and products, some of which are for sale. Workers at Peek Vision say they need to earn income as well as share their products with people in need. Peek has organized numerous programmes in third world countries to test the eyes of thousands of school children. 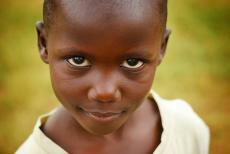 Recently, Peek Vision employees have successfully screened over 100,000 children in countries like India and Botswana. Andrew Bastawrous, the co-founder and current CEO of Peek Vision, says there are now 2.5 million people around the world without access to basic eye care. His goal with Peek Vision is to help connect people in poorer regions of the world with the eye care they need. As mentioned earlier, the main way Peek Vision is able to make such a positive impact on the world is through earning a steady stream of revenue. Peek Vision's self-sustaining revenue model shows how important capital is in achieving social goals. Tim Carter, the current Peek chief impact officer, says he believes Peek Vision will be able to help millions of people around the world within only five years. Carter also says that Peek Vision's successful business model can be replicated by many other organizations. As Carter put it, "I think many of the main elements that allow enterprise and innovation to happen exist within eye health." One of Peek Vision's main products is an ophthalmoscope called Peek Retina. The Peek Retina device can be used on any smartphone to take clear pictures of the retina through the dilated pupil. As long as a doctor has a smartphone, s/he can use this device anywhere in the world. Another one of Peek Vision's apps is called Peek Colour. As the name suggests, the Peek Colour app tests whether or not a child has an onset of colour blindness. There are many products Peek Vision employees are working on right now. A few of these include a Peek Retina App and a Peek Retina Stitching software. Bastawrous is a trained ophthalmologist, eye surgeon, and an expert in public health. Just a few countries Bastawrous has worked in include Peru, Madagascar, and Peru. He is currently based in Kenya and is a research fellow at the International Centre for Eye Health. The Medical Research Council awarded Bastawrous the Max Perutz Science Writing Award in 2012. In addition to authoring 25 peer-reviewed articles global eye health, Bastawrous has made a name for himself with his rousing TED talks.